My name is Anastasiya, and I’m an Erasmus student in Wiesbaden, Germany. Let me tell you more about the city in which I live now. Wiesbaden…hmmmm. Most of the people don’t even know that the place like this exists on Earth. I didn’t either. 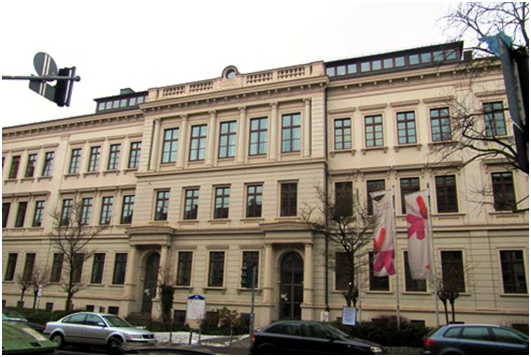 When I was accepted to the Wiesbaden Business School at RheinMain University of Applied Sciences, I expected to see a small and boring city with nothing to do in it. But I was wrong! Firstly I should say that Wiesbaden is a capital of whole german region Hessen, it is probably the most richest one also. What’s more, Wiesbaden is situated next to Frankfurt, big and industrial city, and Mainz, which is considered to be a student town. Here I am – 4 months of my stay have already passed by and can already say – this have been the most amazing time in my life and surely months left will be even better! But.. lets get back to the beginning. Victoria is a small provincial capital of British Columbia – most western province of Canada – just between the State of Washington, Yukon and Alaska. It is located on the Vancouver Island, one hour away from Vancouver – the biggest town in that province. Not without a reason it is considered to be one of the most beautiful towns in the world! But also people are amazingly open and friendly, it is super safe and there is that Christmas atmosphere all year round thanks to little lights on every tree and parliament building. University of Victoria, just after University of Vancouver, is considered one of the best in western Canada. It has all major faculties including law, business, art, music and medical schools. The whole campus is located 30 min away from downtown and consists of tens of buildings. To get 30 ECTS points – I had to take 5 courses, totaling around 15 hours a week. It may seem not too much, but in fact, with the way classes are held here – it is enough to keep you busy all the time. There are lots of assignments, presentations and tests, so unlike in Poland, a student has to be constantly prepared. I like subjects I took – all are very well organized, informative and useful. Apart from that – campus offers loads of places to rest, eat, hang out, study and meet with others. You are also able to apply for a job on campus without having a study permit. This helps a lot, since Canada is very expensive. Coming down to expenses – prices are same as in Poland, but in dollars, plus plane tickets are even more expensive. So it’s good to plan reasonably your spendings here, spot deals in supermarkets and collecting member cards everywhere. Victoria is a perfect location for traveling! There is Tofino 4 hours away – world’s best surfing spot. Vancouver – 2 hours by ferry, Seattle 3 hours by ferry, Whistler – world’s famous ski resort – 6 hours all by car. And Hawaii – I thought it’d be closer – 10 hours by plane – but still amazingly close and cheap to go for a 10 days break in November. Apart from that, if you plan to stay longer in America to travel – it is a perfect spot to begin a “Western Dream” and travel down South to San Francisco, Grand Cannon, Las Vegas and so on. Semesters finish in mid-December and mid-April, so it gives few weeks of break before exam-time comes down in Poland – best few weeks to travel around. Before I came here, I thought I “saw” everything in the movies, but nothing more wrong. Last month we went to Banff – Canadian Rocky mountains. Till today my heart’s beating faster for the memory of that! I have never felt the nature so close and never found it that breath taking and amazingly beautiful before! Those huge mountains, blue lakes, wild nature everywhere, massive space of an untouched pure world is seriously worth every money. I think I’ve discovered the most beautiful places in the world and ever since, I’ve been doing nothing, but planning my future life here. Exchange in general – very well prepared, lots of integration activities, trips and parties. Everyone is super easy-going and open to new people. Either students’ associations or other exchange students – there is always someone to keep you busy. This is far more than I have ever expected from a regular exchange and I recommend it to anyone who loves traveling, nature and unforgettable moments in that lovely country.